My wanderings and musings whilst I take railway pictures throughout Britain, and sometimes abroad. Normally also involving drinking beer. Once again welcome to the Railwaymedia Blog, this time its edition 22. Well, after all the excitement (for me anyway) of my recent trip to Hungary, Slovakia and Austria, it is back to normal and I am now in the middle of a run of three weeks on the night shift.﻿ Working nights is highly conducive for me to get on with picture processing during the day, especially given the weather at the moment, and to that end once I had finished processing the pictures from abroad I knuckled back down to ploughing my way through my collection of bus pictures from the 1990s. I am working backwards through these, album by album, and most of the pictures I am processing at the moment are from the period I was driving buses down south in the Brighton area. Most of my pictures from my time working at Brighton & Hove have been done now, and the next batch will cover Haven Coaches and the former Southdown companies. As they are scans of 6x4 prints they are of variable quality but, given the memories for myself, I am quite enjoying the challenge. Anyway, getting back to the railway side of things, and the present day: The weather hasn't been too favourable since I got back from holiday, and as a consequence I haven't taken many pictures at all. At the beginning of last week I went over to Blackpool yet again, on what was about the only sunny day, to try and get some shots of the new Flexity Trams that have received adverts. Fortunately, as yet, none has gained an overall advert; they have in fact been quite unobtrusively done with a band along the roof and a small area on the lower panel of the middle section. Three have been done up to promote the Pleasure Beach (with different shows advertised on the lower panels) but 011 is advertising Redrow Homes, though strangely on one side of the vehicle only! 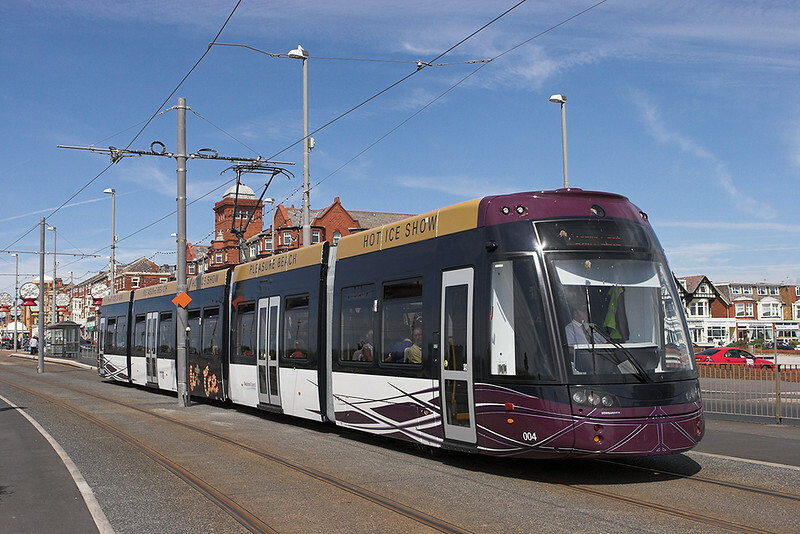 Balloon Tram 700 has been outshopped in the same livery as the Bombardier Flexity trams and it made its debut at the Tram Sunday Event at Fleetwood, an annual gathering of trams, buses and bric-a-brac stalls along the main street of the town. Unfortunately I was working so couldn't make it; some shots from the day though can be found on the Blackpool Tram Blogspot. The only other venture out with my camera I have made in the last couple of weeks has been today (Friday). 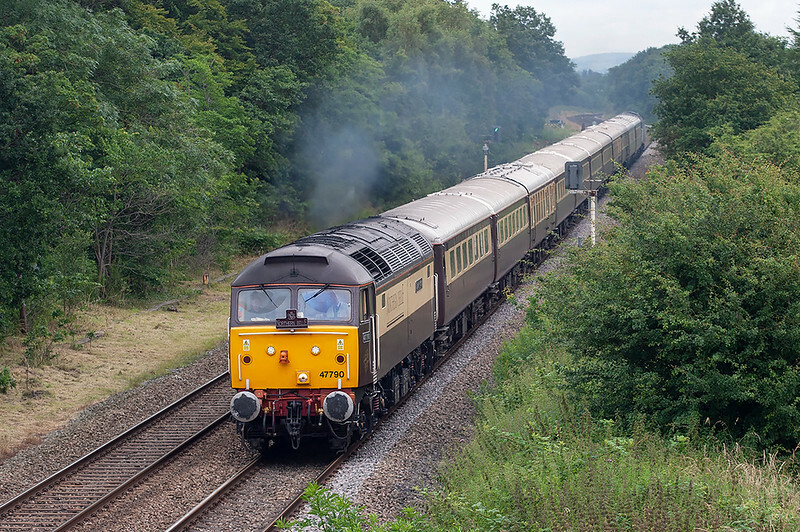 The Northern Belle has made two round trips from London Euston to Blackpool North in conjunction with the Open Golf Championships at Lytham. I went out to photograph it at Lea near Preston, a location that is now becoming unfortunately almost unusable due to tree growth. 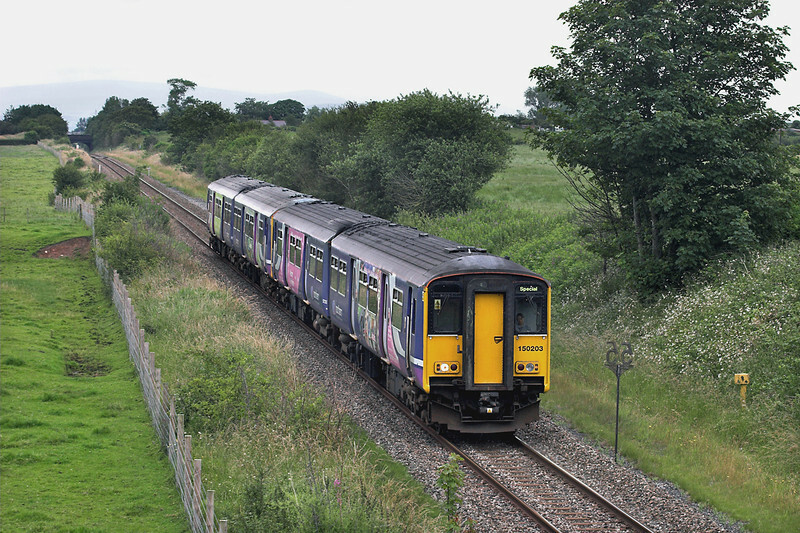 The Open Golf Tournement is held every few years on a course next to the Kirkham to Blackpool South line. As a result for the 4 days duration of the competition, the normal hourly service on the branch has been suspended and replaced by a half-hourly shuttle service between Preston and Ansdell & Fairhaven only, a normally quiet unstaffed halt. The usual trains used on the line are 2-car class 142 railbuses so, despite the dull weather, I decided after photographing the Northern Belle to try to get a shot of the 4-car class 150/2s being employed. That will probably be it for some time, unless the weather improves markedly or anything interesting turns up in the Preston area. I'm pleased to report 92012 is still dumped at Shap, now in its 4th month of residence there. Apparently they have decided a wheel skate is not available for it, so instead of moving it down to Tebay for easy road access it will have to be removed by lorry from Shap itself, so negotiations are currently underway with the council about how this can be achieved. 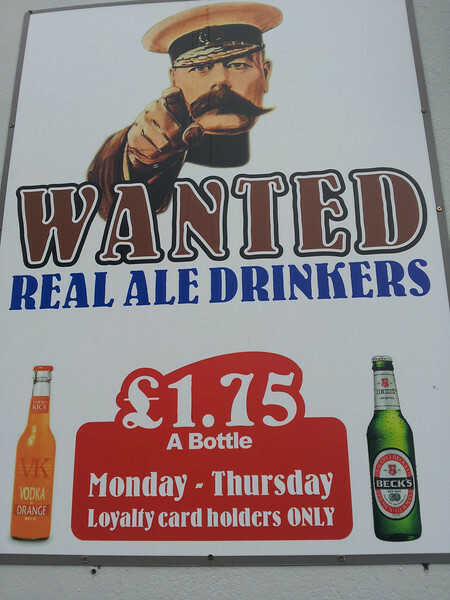 This editions stupid picutre comes courtesy of the Lamb and Packet pub in Preston. To be honest they DO do real ale, and well served it is too, but the sign outside does not exactly inspire confidence into what they consider to be proper beer! Thanks for reading please keep a look out for edition 23! Railwaymedia. Picture Window theme. Powered by Blogger.